We all like to save money, but there are times when the frugal option winds up costing you more money. 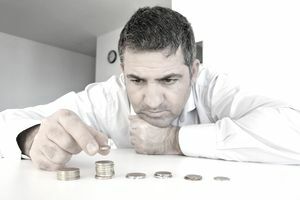 Avoid these pitfalls to make sure your frugality doesn’t wind up draining your bank account. Skip your 20,000-mile check-up, your every-six-month dental cleanings, or your annual physical, and it could end up costing you much more than you’d spend on the maintenance itself. For example, those dental cleanings cost around $100 per pop. Skip them and you could be setting yourself up for fillings and root canals that cost upwards of $1,000. With your car, Bankrate estimates the sticker price for a year’s worth of oil changes to be around $120; cut corners, and the total cost for an engine replacement is around $4,000. It’s science: bargain hunting can be addictive. Between the thrill of the hunt, and the feel-good chemical release from the reward centers of your brain when you find a deal, you are physiologically rewarded. And it can get costly. “One of things we see often is people use [frugality] as an excuse to buy things they don’t need,” says Kyle Taylor, CEO of The Penny Hoarder. “Whether it’s on sale or you have a coupon, you end up spending money just because something appears to be a great deal.” Avoid bargain brain — and its potential to cost you — with a trusty purchase pause. Walk away for 24 hours and see if you’re still thinking about it when the clock comes back around. Often, the urge will have passed. The latter might put a smile on your face the day you make your purchase, says Johnson. But value is longer lasting. Take Black Friday doorbusters as an example. They’re often third-tier brands that are cheaper in price, lacking in features and not built to last. Instead, she suggests saving your skimping on things you’re only going to use once (prom dresses come to mind) or those where store brands are just as good as the name brand (like Kirkland Extra Virgin Olive Oil from Costco). Instead of buying the cheaper option, just find ways to save on the quality products you know and love. For starters, you should compare prices online before heading to the store — and when shopping online, take advantage of coupon sites and cash-back sites, like Ebates. Moreover, consider using rewards credit cards or purchasing what you need with discounted gift cards, which you can buy from sites like Cardpool and Raise. Let’s say you’re due for a trip to Target: Right now, you can go on Gift Card Granny, a site that aggregates gift card offers and buy a gift card to the store that will save you an additional 7 to 8 percent on your purchase.